Local Islamic scholars have countered comments made by former Maldivian President Mohamed Nasheed against inclumbent President Abdulla Yameen Abdul Gayoom’s running mate, Dr. Mohamed Shaheem Ali Saeed. Nasheed, last Tuesday, tweeted that Dr. Shaheem was an alleged recruiter for the terrorist organization Islamic State (IS) and that Saudi Ambassador Bader Ali Al Khail congratulatory message to Dr. Shaheem upon being selected as Yameen’s running mate was proof of Saudi support for violent extremism in Maldives. President Yameen picks Shaheem - an alleged recruiter for Islamic State - as his running mate. Saudi amb. @BaderAlkahail endorses him. Tells you everything you need to know about Saudi support for violent extremism in the Maldives. Many condemned the allegation against Dr. Shaheem, including several leading local Islamic scholars. Islamic scholar Ilyas Hussain tweeted that damaging the reputation of others with baseless accusations was unacceptable, no matter how conflicting the difference in opinion. He said he guaranteed Dr. Shaheem has nothing to do with IS. Kithamme khiyalu thafathuviyas adhi kithamme nurunukamugaiviyas hageegatha khilafa meehunge aburaizzah kathileveygotha dhogu kha barutha fethurumakee gaboolukureveynekamehh nooneve. Islamic scholar Dr. Mohamed Iyaz Abdul Latheef tweeted that he vouches for Dr. Shaheem, and that Dr. Shaheem was not the kind of person that Nasheed accused him of being. “Do not damage the reputation of others with baseless lies whatever the political rivalry,” said Dr. Iyaz, tagging Nasheed in his tweet. Islamic scholar Sheikh Mohamed Aneel also accused Nasheed of spreading false information, and said Dr. Shaheem was someone who advocates against religious extremism. Dr @Mohamedshaheem1 IS jamaathaai gulhuvaigen kureege Raees @MohamedNasheed dhekki vahaka akee kanda elhigen dhogeh. Dr. Shaheem akee dheenuge namugai hadhdhufahanalhai dhiyumaa dhekolhah gina masakkaiy thakeh kuravvaafaivaa beyfulheh. alhugandu ekamah hekivan. Meanwhile, the President of Jamiyyath Salaf, a local Islamic NGO, Abdulla Bin Janaab said that employing false information and selling one’s Islamic creed and one’s own nation as tools for an election campaign was shining proof of desperation and misguidedness. Campain kurumugai Ewwes Faraathakun Dhogu fathuraigen,IslāmiAqeedhaa aa amilla Gaumu Vikkaigen viyas thimaa beynunwaa goi Haasilkuran masakkaikurumaki Ebayegge Goi Huswe,Baathil gai Thibikamuge Saafu Heikekeve. And Islamic scholar Sheikh Mohamed Nasheed Adam urged everyone to hold on to the truth and proof instead of throwing accusations at each other. 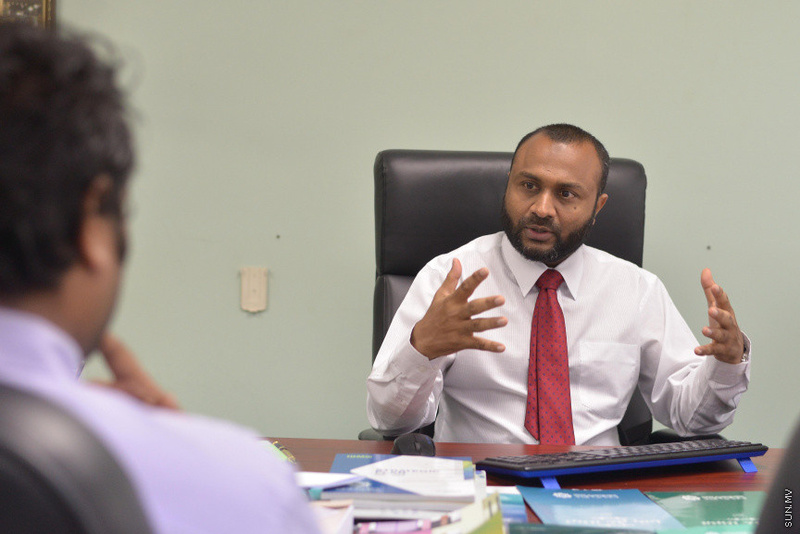 He said Dr. Shaheem does not condone the IS or religious extremism.